If you are interested in being enrolled as a Year 7 student in 2020 please explore our webpage further and submit your Registration of Interest form by Friday, May 24th 2019. We welcome you to attend our upcoming Open Night on Tuesday 19th March from 4.00pm to 7.00pm and our Year 7 to High School Pilot Information Night on Wednesday 3rd April at 6.00pm. Our Year 8 2020 cohort is a milestone year. This will be the only year level to begin their high school journey without being the youngest students at the school. If you wish to enrol at Wirreanda Secondary School as a year 8 we provide several transition experiences in collaboration with local primary schools. We also welcome you to the Open Night (held late in Term 1) or to arrange a tour so that you can see the school in action! Our Special Entry Sports program is competitive, with select entry through a comprehensive application and trial process. Limited places are available in this each year. This selection process is held early in the year, with further information available here. 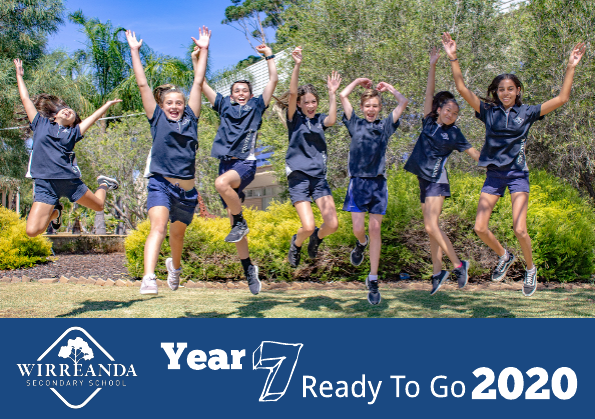 If you are considering applying to move to Wirreanda Secondary School from another high school, please contact Enrolment Team Leader, Amanda Cavaiuolo via school reception on (08) 8329 7200 to submit an enrolment enquiry. Enrolments for out of zone students cannot be assured based on current enrolment pressures. For all other enquiries please phone our reception on (08) 8329 7200.